Dauntless Movement Crew (DMC) is a movement based team which combines art forms such as tricking, b-boying (breakdancing), parkour, acrobatics, circus stunts and fire tricks. Our main goal is to be unique, versatile and different to anyone else out there. We try our best to combine as many art forms as possible to slowly transform all into a mash of the most versatile and unique moves out there. 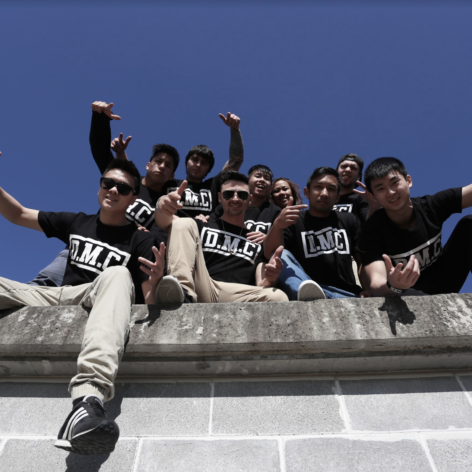 In 2008 a few friends from Fairfield, Sydney grouped together to train parkour; just for fun…A few years later with just 6 members, they opened a brand named DMC. In 2018 DMC has expanded to over 20 members and are teaching more than 300 students per week. DMC now works full time in the entertainment industry entertaining guests at weddings, festivals and corporate events. Dauntless Movement Crew has toured around the Australia with their theatre show “Jump First Ask Later” which also won first place at the Australian Dance Awards 2016. Our main mission is to influence the youth of today and to teach them a variety of art forms to help bring members of the community together and to help them showcase their skill and talent while offering a fun and supportive place for them learn and engage in physical activity.